The Telcordia standard also documents a recommended method for predicting serial system hardware reliability. 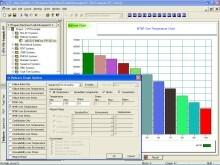 It contains instructions for suppliers to follow when providing predictions of their device, unit, or serial system reliability. It can also be used directly by telecommunications service providers for product reliability evaluation. Device and unit failure rate predictions generated using this procedure are applicable for commercial electronic products whose physical design, manufacture, installation, and reliability assurance practices meet the appropriate Telcordia (or equivalent) generic and product-specific requirements. 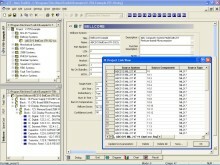 To download a free demonstration of our Telcordia software click here.